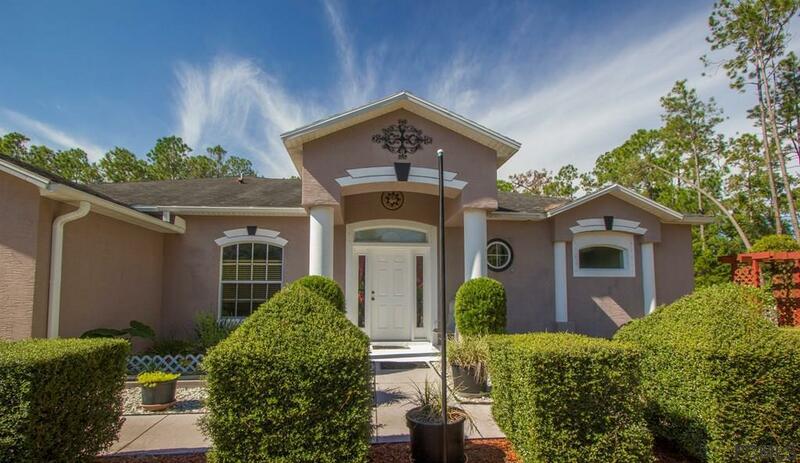 Beautiful Palm Coast Pool home on an oversized lot with fresh water canal and dock. This Holiday builders oversized Largo floor plan is a fantastic resort style home offering 3 bedrooms 2 bath with office. Light and bright formal living and dining with volume ceilings room, cabinet packed kitchen with large island (20 sq ft) and breakfast bar. Family room comes complete with pool table which conveys. Master bedroom with en-suit bath his/her sinks, soaking tub and separate shower. 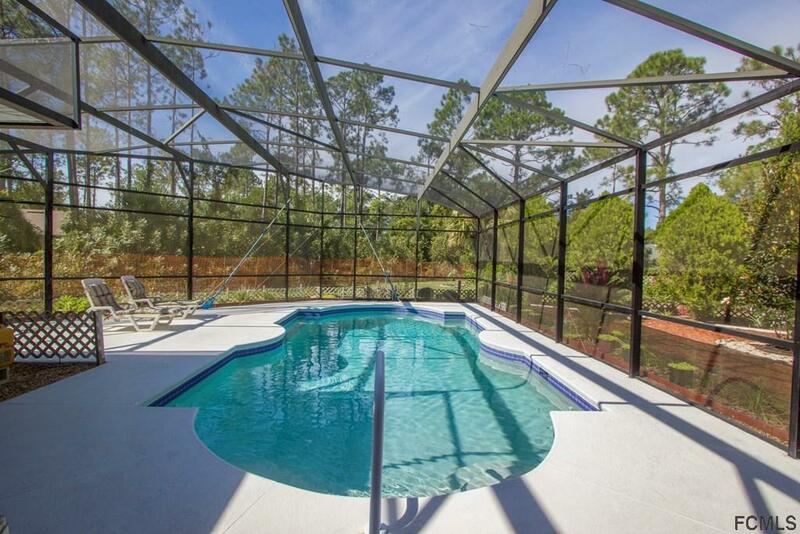 Walk outside to the huge screened in pool with ample covered area for entertaining. 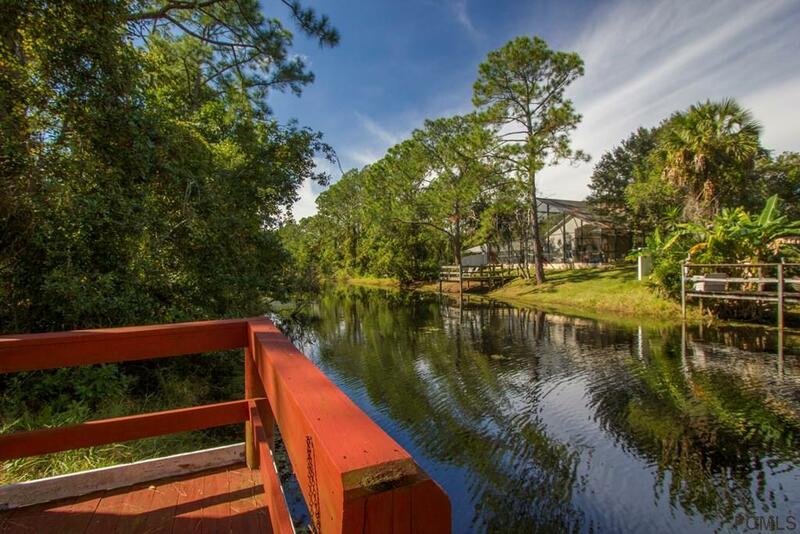 Additional entertaining area in the back yard offers large pergola and pathways of beautiful evergreens, crepe myrtle, lemon treas and pineapple plants and a pathway leading to the dock on the fresh water canal great for fishing and kayaking. 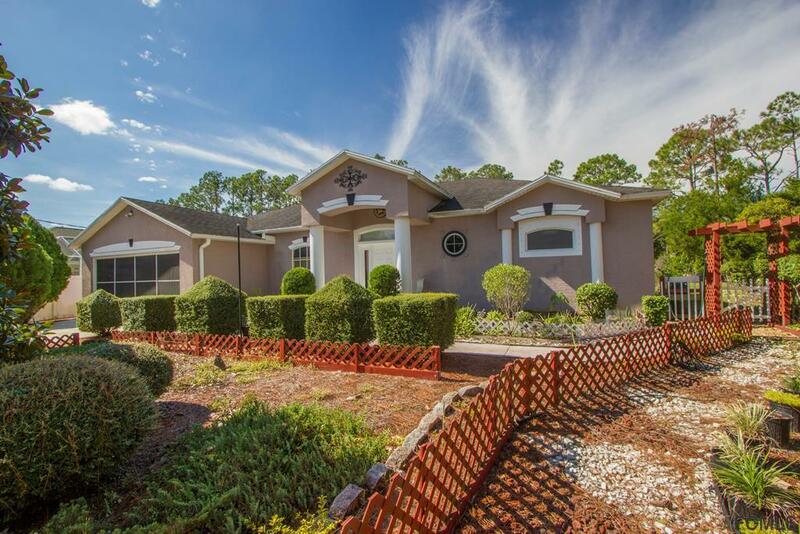 All this located close to town center for shopping, just a few miles from Flagler Beach and close to I95 and Rt 1 for commute. Call today for your private tour of this lovely property. Listing courtesy of Tracy Callahan of Re/Max Select Professionals.